Excellent location. Wonderful staff at reception. Complimentary water bottle. Location. Modern decor. Bright rooms with good lighting. Good breakfast. Quiet location off from the busy main streets. Rooftop deck with fabulous view. Piano player during breakfast. And clock in room! 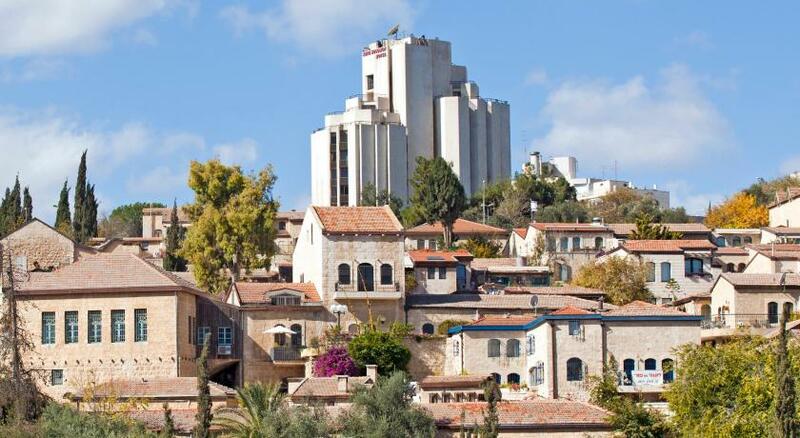 The location is very good if you want to spend a lot of time in the Old City. There are some very nice restaurants near by. The roof deck is very nice. Convenient location in a pretty area. Good breakfast. The tea/happy hour. They have a good teas, cakes, cheeses and veggies in the evening. They have small details like the chocolates, the toiletries were good size and contained minerals from the Dead Sea, vanity kit, robes and sleepers. The rooftop view and seating is one of the nicest parts of the hotel. My grandchildren enjoy having cookies and tea up there. 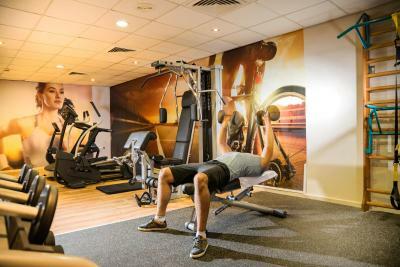 Prima Royale Hotel This rating is a reflection of how the property compares to the industry standard when it comes to price, facilities and services available. It's based on a self-evaluation by the property. Use this rating to help choose your stay! 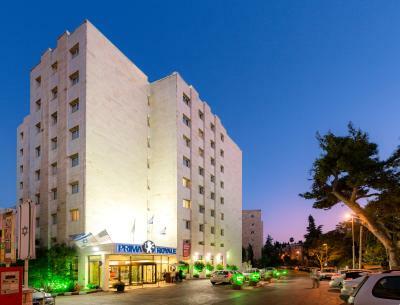 Located on a quiet residential street in Jerusalem’s Talbieh neighborhood, the Prima Royale Hotel is well-positioned for exploring the city’s old quarter, historical sites and commercial area. The Prima Royale features 133 neatly furnished guest rooms and suites. Rooms are contemporary in design and feature modern furnishings and include a range of home comforts. The spacious junior suites even feature their own hydromassage bath. 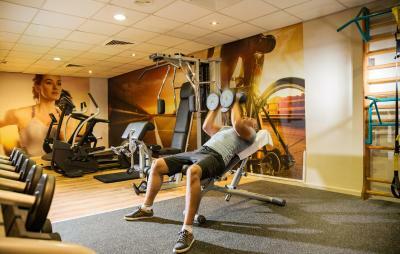 Rooms with disabled access are also available. 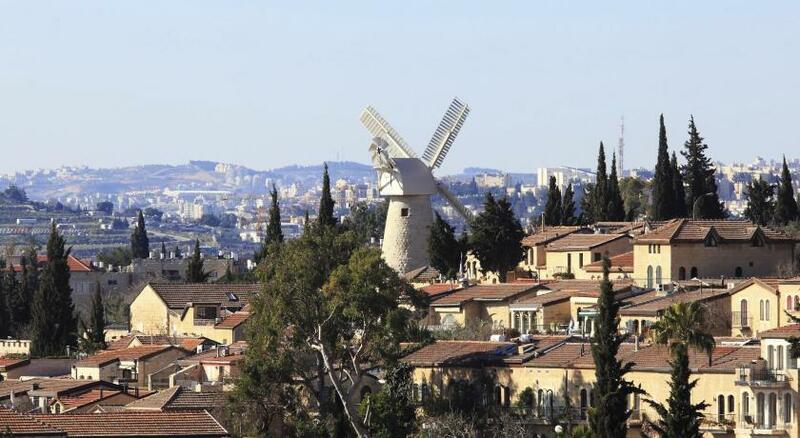 The hotel is 0.6 mi from both the Yemin Moshe neighborhood and the Old City. When would you like to stay at Prima Royale Hotel? Can accommodate up to 2 adults and 1 child. Featuring free WiFi, this room includes a flat-screen TV and a mini fridge. 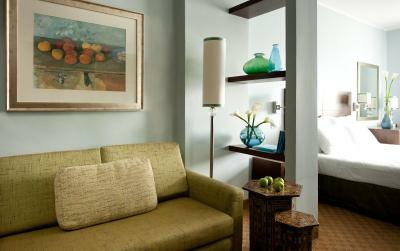 Spacious suite with open-plan sleeping and living area, upgraded toiletries, VIP treats and hydro-massage bathtub. Spacious suite with open-plan sleeping and living area, upgraded toiletries, VIP treats and hydro-massage bathtub. Children must be aged 16 years or under. This family room has a electric kettle, spa bath and air conditioning. The Prima Royale is an exclusive hotel designed specifically to serve business travelers who seek maximum comfort paired with a chic, clean design. 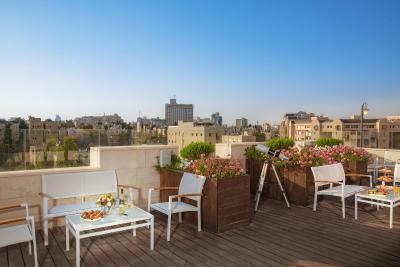 Centrally located walking distance to the Old City, the Mamilla mall and other main Jerusalem attractions. Featuring a design inspired by the culture and inspiration in Jerusalem and the artists who have gained inspiration from the city. FREE wifi in rooms and public areas, a gym a rooftop lounge, a happy hour with snacks and drinks (complimentary) sun-thurs 5-7:30 pm. House Rules Prima Royale Hotel takes special requests – add in the next step! Prima Royale Hotel accepts these cards and reserves the right to temporarily hold an amount prior to arrival. Guests under the age of 18 can stay at the hotel only when accompanied by an adult. The tv did not working well. He had problems with the connection. The hotel was beautiful. The room was nice and clean. Breakfast was very delicious. The hotel is in a beautiful neighborhood. The staff members were very nice and their English was good. Didn't address an issue very well, fault of just one employee though not the whole staff. The restaurant, the bar, nowhere really to sit and relax comfortably. The staff were very helpful and friendly. The hotel was basic but clean. The room was small but the bed was comfortable. The dining room looked grim so didn’t try it, but good local restaurants nearby. We felt it was expensive for what was offered. Food was a bit uninspiring. What arrived on the plate was less than one might expect from the menu. The hotel felt safe. Any issues raised (eg in -room safe not working) were dealt with politely and within minutes. 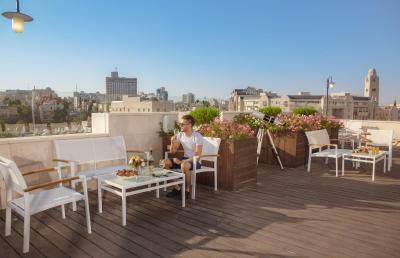 A very comfortable stay, a good location for walking to the Old City. Good food. We were upgraded to a suite. Our third visit to this hotel. General Manager has to plan to repair the heating system & waterpipe in some rooms. I asked to change the room & was quite satisfied. All hotels in Israel are -1* in compare to Europe&USA hotels, so if you choose 4* hotel - expect it to be 3*. Even 5* Crowne Plaza in Tel Aviv is like 3*. Staff is great! all of them are ready to help you. if you are fast-walking then no prob, 15-20 min and you are in the center or near old town. Bus connections is perfect but ask about it in the hotel because 1% chance that driver will help you, they are not polite at all, so to keep your emotions and relaxing, happy face during your stay better communicate to reception before you start your day. Enjoy history, weather, nature, food! but keep distance from people on the streets. Bed was a bit soft but that's pretty much it. Breakfast was fantastic, great location and very reasonable price for area! Rooms so old and not attractive at all, and the basic equipment like spoon and flip flop not even provided inside the room. Overall, it was a great experience, but I'd love to highlight the personnel. Special thanks to Monir, who was really assistive both with the questions regarding hotel and the city in general. If I ever get back to Jerusalem, that would probably be this same hotel. P.S. Location is extremely nice, combining proximity to all the places + calm area. We booked a junior suite, got to hotel and they charged for it, but they didn’t have the jr suite and gave us deluxe double. Room fine and then they gave proper refund. It wasn’t what we wanted or booked though.